Venice is mind-blowing. Thanks to enterprising engineers who were willing to deforest the entire Adriatic region (not kidding), this former marshy refuge from the Visigoths, on a relatively tide-free lagoon on the Adriatic Sea, grew into a major trading city and seat of enormous political power, a gorgeous spectacle, an achievement of human ingenuity, and a groovy place to visit. The Rialto Bridge sits smack in the middle of this amazing place. The oldest bridge in Venice, the Rialto has spanned the Grand Canal since 1180, first as a wooden bridge, then as a sturdier wooden bridge, then as a drawbridge, and so on. 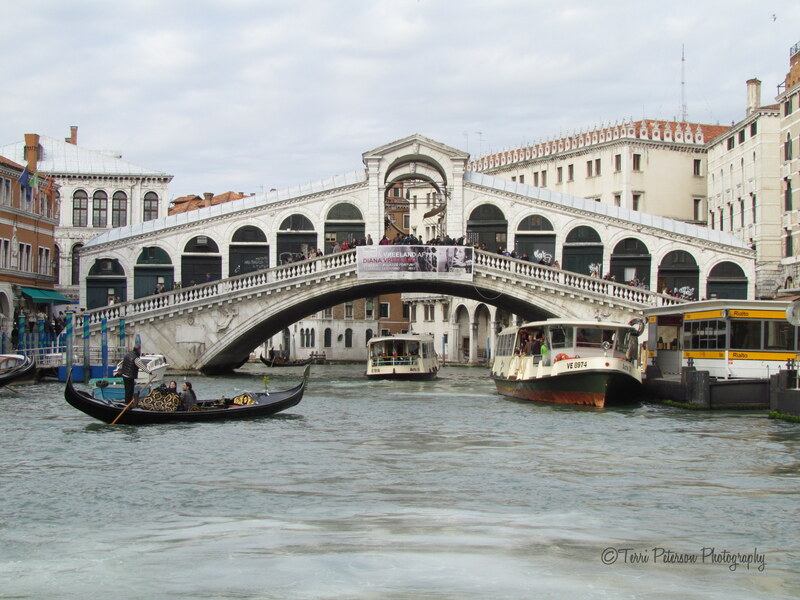 The current bridge has been in place since 1591 and it’s hard to think of something that looks more…Venice-y…than the Rialto. Particularly when there’s a gondola and a vaporetto perched underneath. This is not a movie set, this is not Vegas. This is real. Go check it out!